The Formatt 3 x 3" Soft White Mist 3 Filter is a softening and mist effect filter. This filter imparts softening to the subject matter of the scene at a medium distance focal point while leaving the background unaffected by the effects of the filter. Unlike a traditional softening filter, the Soft White Mist does not impart diffusion or color splitting to the image. The 3 density provides the greatest amount of softening. This filter measures 3 x 3" / 76.2 x 76.2mm and is constructed from specially formulated CR-39 resin sandwiched between two layers of high-quality Schott glass. Softening filter only affects the subject at a medium distance focal point, while maintaining background sharpness as dictated by exposure settings. 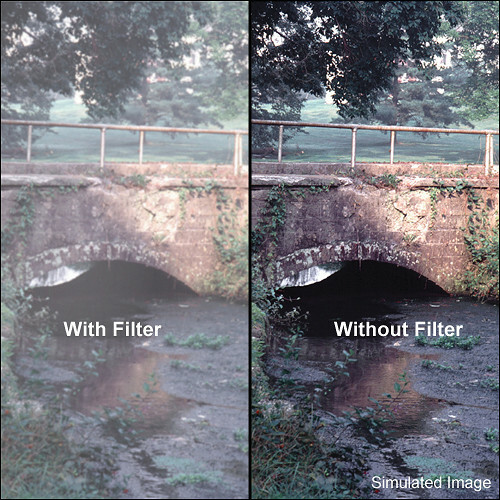 Unlike traditional softening filters, this filter does not diffuse light entering the lens. Helps to minimize blemishes and wrinkles in subject matter.